I usually like to keep my blogs positive about what you should be doing. 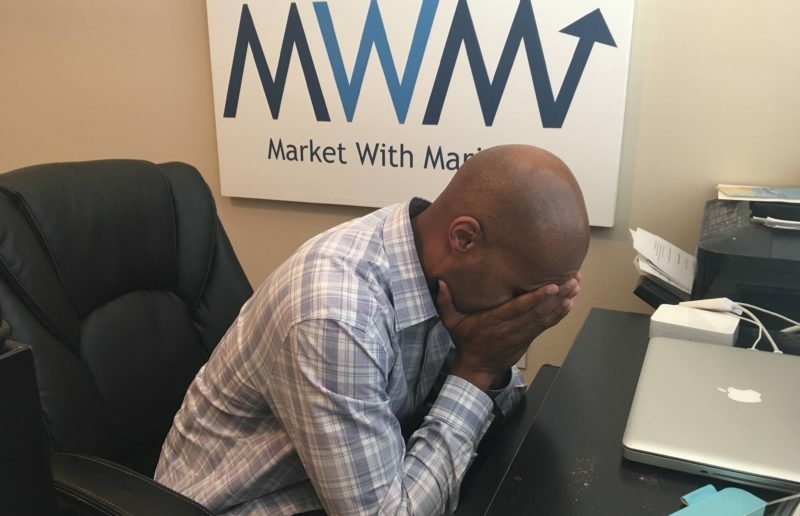 But I want to take a moment today to talk about three online marketing mistakes that could be costing you customers without even knowing it. 1. You don’t have a social media presence. Or—even worse—you have an abandoned social media presence. Nowadays most people, before they hire you or call you for a service or for a meeting, are going to check you out online first. When they start looking for you online and they don’t find anything, they wonder, why not? What does this business have to hide? Why aren’t they being transparent? But even worse, in many ways, is abandoned social media. If you do have a Facebook page, for instance, and they start clicking around and find that you haven’t posted, since, say, 2012 … they may wonder if you went out of business, or what’s going on here? At the very least, they can see that you’re not engaging customers, and you’re not being responsive and available. So make sure that if you do have those platforms, you keep them up to date. 2. Your website is not mobile-friendly. 3. You’re not using videos. The third mistake is not taking advantage of videos. When I shoot a video I do it on my smartphone in our office. It takes about three minutes to shoot one. It’s not professionally done—any Toastmaster member would kill me on how many times I say “um.” But I’m right here in front of my target audience, easily, for free! And so with Facebook Live, with Instagram videos, Twitter videos, being able to upload these directly to Facebook, with YouTube—it costs almost nothing to put these videos together. Just get some tips together and get in front of your audience! But what I love the most about video is that when I meet someone who has been following my videos for a while, they always tell me, “I feel like I know you, before I even met you.” And that’s what you want! You want your personality to come through. You want people to get to understand what you and your employees are all about before they even pick up the phone to call you. Video is a huge player in marketing right now! Are you ready to take advantage of online marketing? Click the button below!